North Carolina’s numbers are at an all-time high. They’ve been steadily increasing across the state, but here in the eastern part of the state, turkeys have made a major comeback. Now, the Wildlife Resources Commission is encouraging people to take up hunting. Seminars are being held across the state to teach amateurs and experts alike the methods for hunting turkeys. “That might surprise some folks that if we’re interested in conserving a game animal that we want more hunters. Upland Game Bird Biologist Chris Kreh says although it sounds counterintuitive, hunting is a beneficial way of conserving a species. In North Carolina as a whole, Kreh says the turkey population is booming, although some places have disparities. In the mountains and along the Virginia border, turkey numbers have started to level off or drop slightly. But populations continue to expanding rapidly in eastern North Carolina. They also used data gathered during the annual turkey observation survey, where volunteer spotters record the number of turkeys they see during a two month period during the summer. Over the years the survey’s been conducted, upward trends have been noticed in turkey populations. Since 2005, the number of turkeys across the state has grown by an estimated 115,000, with population increase here in eastern North Carolina being the most significant. Many places like Craven, Duplin and Pender counties now support thriving turkey populations, but this wasn’t always the case. In the 60s and 70s, turkeys were only found in small pockets because of hunting pressure and habitat destruction. At one time, there were only about 2,000 turkeys in the entire state. Now that populations have bounced back, the North Carolina Wildlife Resources Commission is encouraging hunters to take part in this year’s wild turkey season, which starts April 9th and runs through May 7th. A youth only week runs from April 2 to the 8th. Hunters are allowed a maximum of one turkey per day and two turkeys per season. 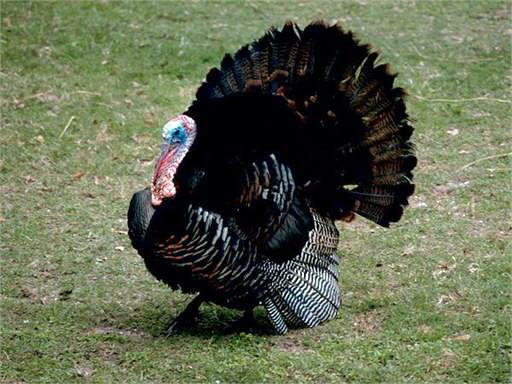 The commission and the National Wild Turkey Federation are offering 24 hunting seminars across the state which cover topics including biology, calls and decoys. Kreh says the seminars cover the basics and more advanced methods of hunting turkeys.